A professor of fish conservation, Andy is on a personal crusade to ensure that fish are around for future generations to enjoy. He merges his passion as an angler with his experience as scientist to tackle conservation issues related to recreationally targeted fish species around the globe. 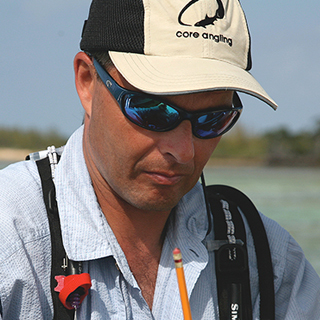 Much of Andy’s work focuses on the development and implementation of guidelines for catch-and-release fishing, including getting scientifically validated best practices into the hands of anglers.